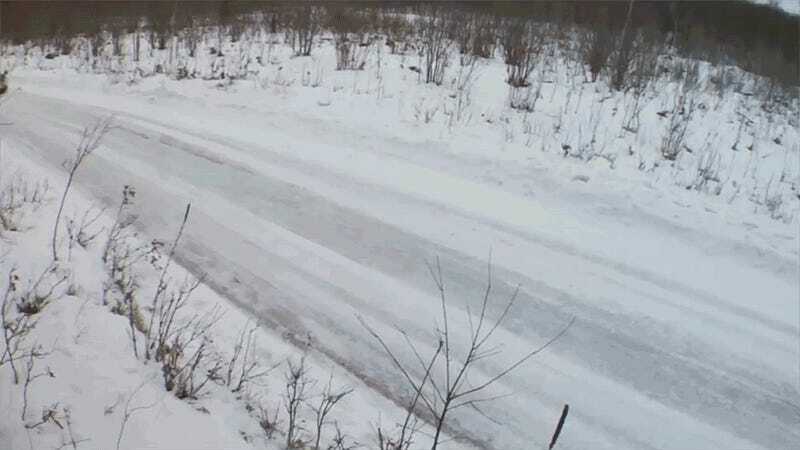 The most famous winter rallies in the world take place in the frozen norths of Sweden, Norway and Finland, but the gnarliest ones take place right here in America. Why? Because we run our snow rallies without studs. Look up any World Rally Championship event that runs in the snow and you’ll see the same kind of skinny pizza cutter wheels on the cars. They might seem almost comically narrow, and that’s because they’re using studded tires. 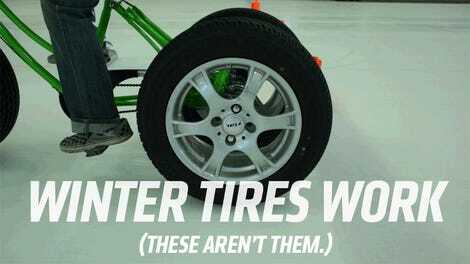 These tires have little metal studs (the kind of metal varies, as does the length of the stud) embedded into the rubber to physically cut into and grip onto packed snow and ice. The traction is so greatly improved, it can give you more grip than you’d get on dry gravel. I’ve driven on studs before and you really need to get a feel for them to understand just how much they defy your expectations. The speeds that you see in these European snow rallies look unreal, but thanks to those studs, they’re more controlled than you’d imagine. Not so in the United States. Studded tires aren’t allowed in American rally. The trick is that all rallies take place on public roads, and thus all rally cars must be street legal. When competitors line up for the opening Sno*Drift rally in Michigan at the end of the month, they will all have to be fully street-legal, even though they’re racing. As Rally America explained a few years ago, the trick is that Michigan doesn’t allow you to drive on studded tires. So if regular cars can’t run studs on the road, neither can rally cars. Sno*Drift is running on January 26 and 27th this year. Take the trip out to see it, there’s little else like it on the globe.